Just because you’ve given up dairy doesn’t mean you can’t satisfy cravings for rich, melty cheese. Emily Zimmerman, the Dep’s resident vegan chef, will take you through a series of homemade vegan cheese recipes, from quick rarebit sauce and parmesans to creamy, tangy cultured cheeses. 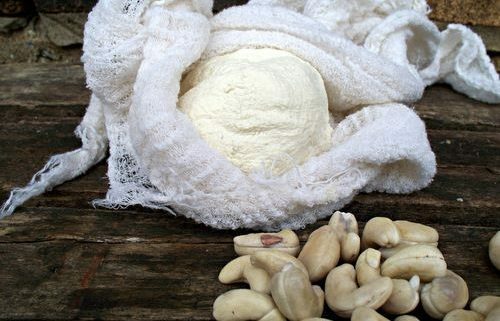 We’ll be using ingredients like cashews, coconut, hemp seeds, tofu, and seaweed, and participants will learn how to make delicious, dairy-free cheeses for any diet, budget, or schedule. There will also be discussion and demonstration of using plant based colours (like beet extract or achiote), salts, and alcohol to colour and preserve the cheeses. Mid-way through the workshop, we’ll have a quick meal of baked potatoes with all sorts of cheesy toppings, caesar salad with “parmasanalogue”, and creamy coconut creme brulee. Emily Zimmerman is the lady behind Pear and Pepper; she works as a community kitchen coordinator by day, fabulous vegan chef by night. She can be found at food events around the city, as well as at The Depanneur hosting the occasional vegan Workshop or Supper Club. Every week, The Depanneur invites TO’s best culinary talents to lead fun, hands-on workshops.